I listened to the audio version, which McWhorter narrated himself. It is at once casual, funny, factual, and led me to a number of useful and fun intellectual tangents. We all know language changes over time. To people my age (born early 1980s), it sounds odd when older people pronounce “diabetes” as “diabeetus” or “horrible” as “hahr-ibble.” At the same time, many younger people pronounce words like “bit” and “bet” and “dawn” and “Don” in rhyme. Even well-defined regional accents change over time—the classic, often-mocked Brooklyn accent of pronouncing “work” as “woik” is mostly gone now. Text messages and Twitter are part of a whole other linguistic evolution. McWhorter argues that their innovations have a common purpose of conveying ease and informality. To describe it more fully, he uses the acronym FACE for Factuality, Acknowledgment, Counterexpectation, and Easing. Language doesn’t just communicate information, it communicates social dynamics. All the “LOLs” and emojis in text messages closely imitate in-person spoken language—listen to the cadence, not the words, of any normal spoken conversation and the amount of laughter you will hear is absurd. This is important for texting—you can’t see or hear your correspondent, so verbalizing nonverbal language with LOLs and emojis is a way of compensating for it. McWhorter doesn’t make this connection, but the overall trend of this evolution ties into Steven Pinker’s point in Better Angels of Our Nature about decreasing violence over time. A reason people today are less formal and more at ease with each other than previous generations is because the threat of violence is low; unlike in, say, medieval times or even the mid-20th century, a social gaffe or lack of proper deference is unlikely to result in bodily harm. People today are more relaxed in dress, speech, and culture because they an be. Finally, today’s use of “like” as a near-constant verbal tic and “literally” to mean “figuratively” can be annoying, but they also have precedents going back a long way. Teddy Roosevelt’s use of the word “bully,” for example, was that era’s equivalent of having a president who says “dude” a lot. Language changes over time. It happens, and it cannot be stopped. Linguistic change is also an example of spontaneous order in action—a Hayekian angle that also ties into Adam Smith’s famous essay on the origins of language, which could have been another useful avenue for McWhorter to stroll down. One can infer from the length of this ewview that McWhorter provides a lot of fodder for thought beyond language, ranging from culture to evolution to psychology. I also recommend the audio version over the print edition. As with everything Deirdre does, this short video about free speech will make you see the world a little differently. Well worth three minutes of your time. Click here if the embed below doesn’t work. Cato scholar Ilya Shapiro, who has tussled with Sen. Durbin on free speech issues before, has more. Looks like Minnesotans can learn online, after all. A little bad publicity really can go a long way. We live in a golden age of information. These days, anybody who wants to can get a college-level education without ever setting foot on a college campus. An outfit called the Teaching Company doesn’t confer degrees, but it does sell undergraduate-level lecture courses in history, philosophy, literature, the arts, the sciences, and more. Of course, they charge money. Other outfits don’t. Coursera is a new company that has already attracted nearly 1.7 million customers. You can take online courses for free in almost any subject from medicine to economics to electrical engineering. The lectures are taped at top universities such as Columbia, Vanderbilt, Stanford, and more. You can even take an introductory class in guitar from the Berklee College of Music. Now you don’t need to rack up intimidating levels of debt to learn from the best professors at the world’s best universities. Tyler and I wish to be perfectly clear: unlike Coursera, we will not shut down MRU to the residents of Minnesota. We are prepared to defend our rights under the First Amendment to teach the good people of Minnesota all about the Solow Model, water policy in Africa, and the economics of garlic–even if we have to do so from a Minnesota jail! Should it come to that, it would take mere seconds to decide the court case on the merits. Maybe the Institute for Justice, with its long track record of free speech litigation, can weigh in. With all the bad publicity this story is getting, maybe the mere threat of a lawsuit would cause Minnesota’s resident Savonarolas to back down. 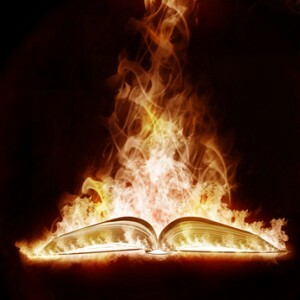 At the risk of making this post illegal to read in Minnesota, I close by encouraging readers interested in free speech to read John Milton’s essay “Areopagitica.” It is one of the most stirring, passionate and eloquent defenses of free expression ever put to paper. The full text is even online for free, courtesy of Dartmouth University. 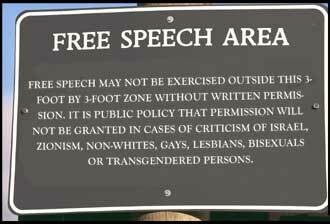 Free speech is a core value in any free society. But what are its limits? Senior Attorney Hans Bader discusses a UN resolution to ban anti-religious speech and a court case involving a professor who sent anti-immigration emails. The best remedy for hateful speech, he argues, is not to silence it with laws and courts. It is to rebut it with speech of one’s own. Should the Government Track Your Political Activity? Former FEC Commissioner Brad Smith asks an important question in this short video. Click here if the embed doesn’t work.